Whether you are starting off early or sleeping in, everyone knows bagels make the best breakfast. 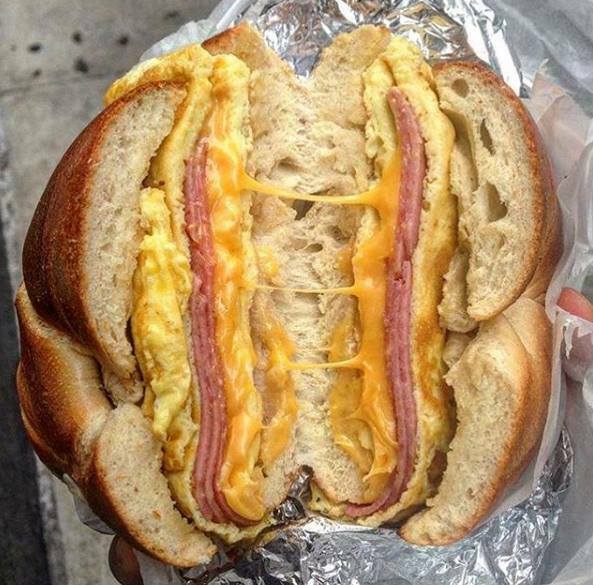 Not all bagels are created equal and the bagels from Hot Bagels Brooklyn's Finest are unmatched! Grab a bagel with cream cheese or a bagel egg and cheese to start your day off right. Hot Bagels Brooklyn's Finest makes fresh bagels every hour so you can always expect the freshest bagels. Hot Bagels Brooklyn's Finest provides our customers with a 40+ year old family bagel recipe. We take honor in providing a traditional, old-styled "Brooklyn Bagel", which are freshly baked on the hour in order to satisfy all of our customers' tasting needs. Hot Bagels Brooklyn's Finest also specializes in Boar's Head deli sandwiches, wholesale and catering needs for all types of parties, events, and offices. Please call 732-842-1397 for any inquiries.